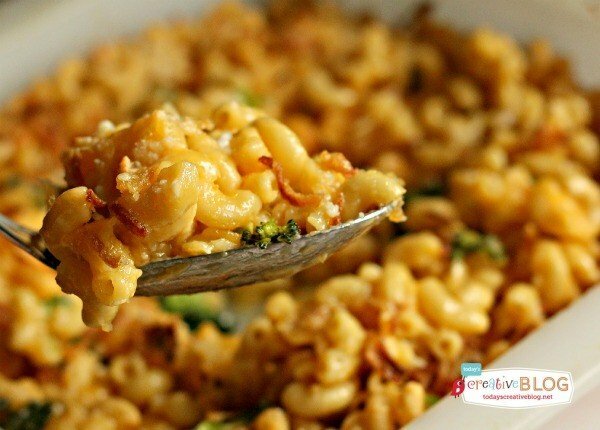 Doctored Box Mac and Cheese - YoursTrulyHandmade.com - DIY, Home Rennovations and a lot of crafts! In a perfect world, weâ€™d never be too busy to make homemade macaroni and cheese for our little darlings whenever they requested it. 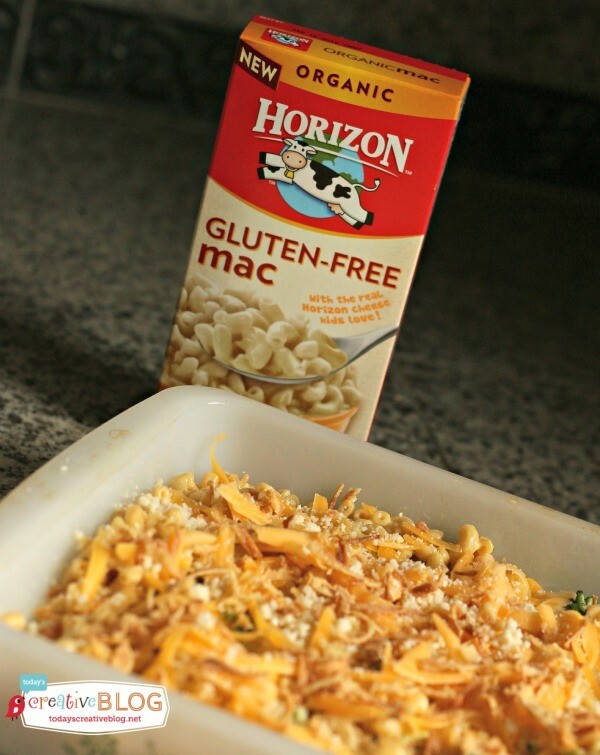 But itâ€™s not a perfect world, so do what I do and make Doctored Box Mac and Cheese using Horizon Organic Mac and Cheese. Itâ€™s my mealtime solution! 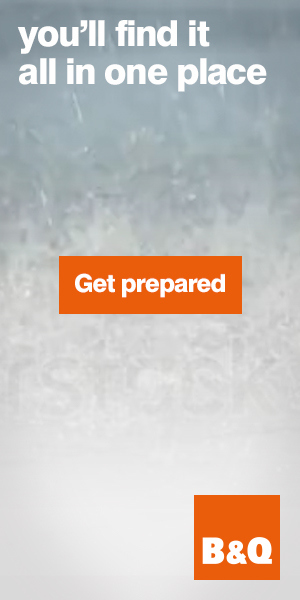 Â I found so many great ideas on their pinterest boardÂ too! 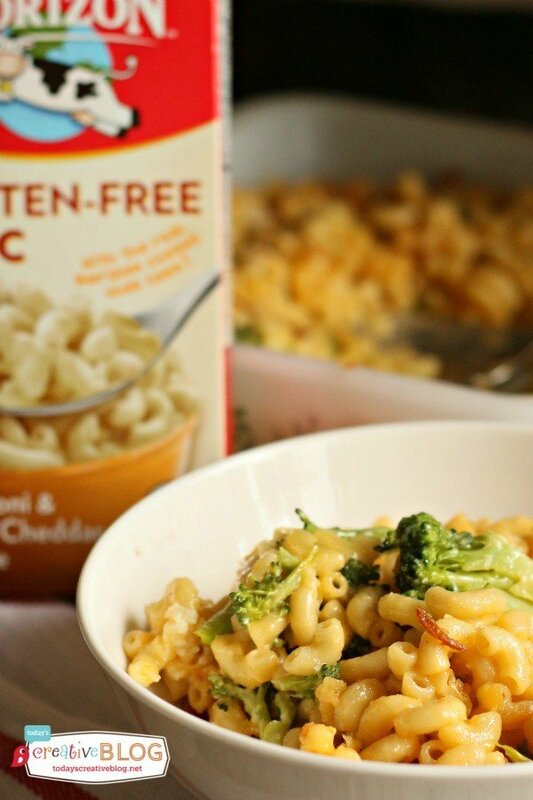 Boxed mac and cheese is in every busy momâ€™s arsenal. 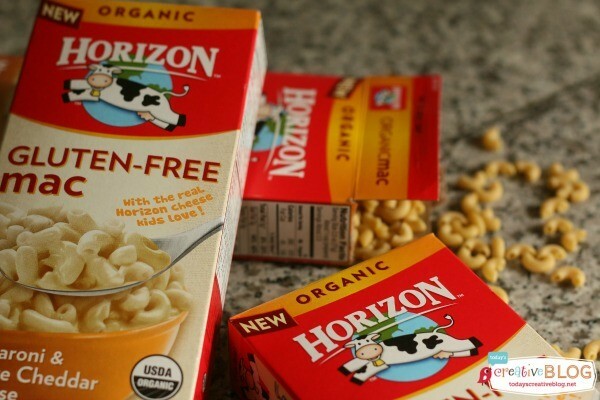 I stock my pantry with Horizon Organic white cheddar Mac and Cheese and theÂ microwavable Mac and Cheese cups. Having these available, my son can make a â€œbefore practiceâ€ quick and deliciousÂ organic snack all on his own.Â All that goodness is quick to make and fills him up for a while! 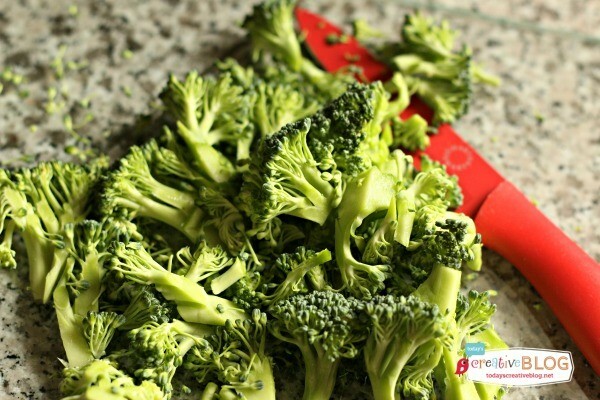 Today, I simply cut up fresh broccoli in small pieces (steamed it in the microwave)Â and added to my doctored recipe. After making the Mac and Cheese by following the simple directions on the box, I stirred in my steamed broccoli and poured it into a baking dish. I topped it with cheddar and Parmesan cheeses, sprinkled my sonâ€™s favorite fried onions on top and baked it for about 20 minutes. Doesnâ€™t that look delicious? Would you like a bite? My son still isnâ€™t a big broccoli fan, but heâ€™ll eat a few pieces when I mix it with his favorite Mac and Cheese.